Traditional methods of brand extension involve developing new products. In a new twist, this form of extension calls for the core property to be extended into an experience. It involves taking a well-known brand or celebrity and transferring the core equities and aesthetic into a service experience — the most common form being a restaurant or café. Examples of this trend are popping up everywhere. The infamous Los Pollos Hermanos restaurant opened its doors in New York to celebrate the upcoming new season of the series “Better Call Saul” in April this year, giving fans the chance to sample the Albuquerque fried chicken for themselves. 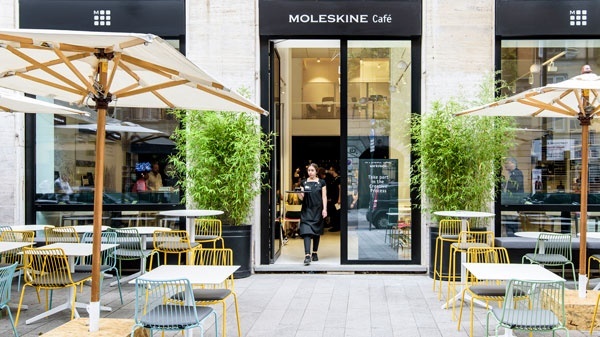 Alternatively, consumers might choose to visit the Moleskine Café in Milano to sip a cup of freshly roasted Italian coffee whilst writing observations in their notebook. The latest addition to the “branded café” trend will give chocolate lovers a new destination to treat their taste buds as Nutella has announced plans to open a permanent café in Chicago later this month. Last summer saw the opening of Kellogg’s Café NYC in the heart of Times Square, making it the destination for any lover of cereal, and at $8 a bowl, it is clear that this establishment is all about an “experience” for its customers.